Many people are put off going to Mexico due to the bad rap it gets in the news. It’s very bad in the States, but also Mexico has a hard time in the British press too. 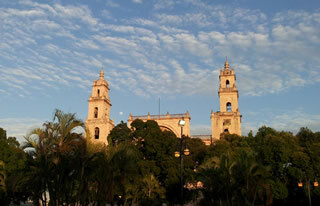 That said, Mexico still remains a very popular destination for British holidaymakers and offers great value for money. Listed below are a number of UK travel insurance companies that will cover your in Mexico – please always read the small print before taking out any policy. Long Term Insurance Travelsupermarket covers many of the options for long stay insurance and will offer coverage for all ages. JS also have a Backpacker / Longstay Travel Insurance policy that allows for two trips back to the United Kingdom. As specialists in medical travel insurance, they understand the difficulties of finding the right medical travel insurance cover at the right price. Aviva who are formally known as Norwich Union will cover Single trip insurance covers a trip of up to 120 days. Post Office Money® is one of the leading travel insurance providers in the UK. they were winners of the Best Travel Insurance Provider at the British Travel Awards for ten years in a row. Fake taxis, fake cops, airport scams, watered down drinks, car rental damage scams and the good old foreign exchange switch. Unfortunately, Mexico does have a reputation for drug related crime including in popular tourist spots such as Cabo San Lucas, Cancun, Tijuana, Acapulco and others. From sunset to sunrise, whether you are at a bar, in a club or enjoying a night time festival; it’s important to look after yourself, your fellow travelers and your belongings. Drink spiking can occur which places you at risk of assault and theft. Pickpockets, car-jackings and robberies have occurred in Mexico and the risk of these crimes while traveling increases at night, particuarly in known drug cartel country and border areas. While not exclusive to Mexico, express kidnapping is a growing issue in Latin America. While most locals are friendly, there are some who still uphold the machismo attitude towards women. Solo women travelers may experience harassment as a result. Previous Previous post: Will I need travel insurance after Brexit?